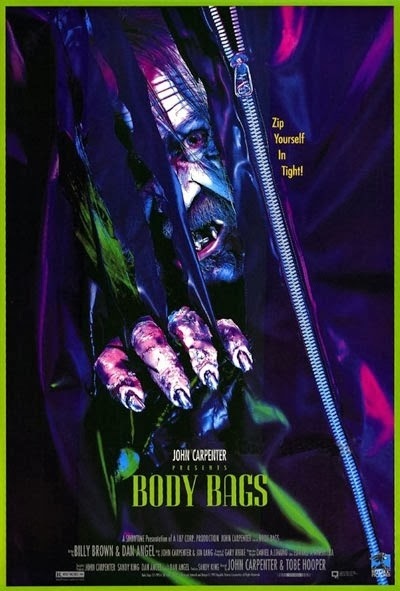 Body Bags, which aired on Showtime back in 1993 was meant to be a pilot for a new horror series, which would rival Tales from the Crypt, which was a big success on HBO. But a TV series never came to be and instead Body Bags would end up being a TV movie. 13-years after Body Bags, Showtime would find their horror series called Masters of Horror, which ran for two seasons. 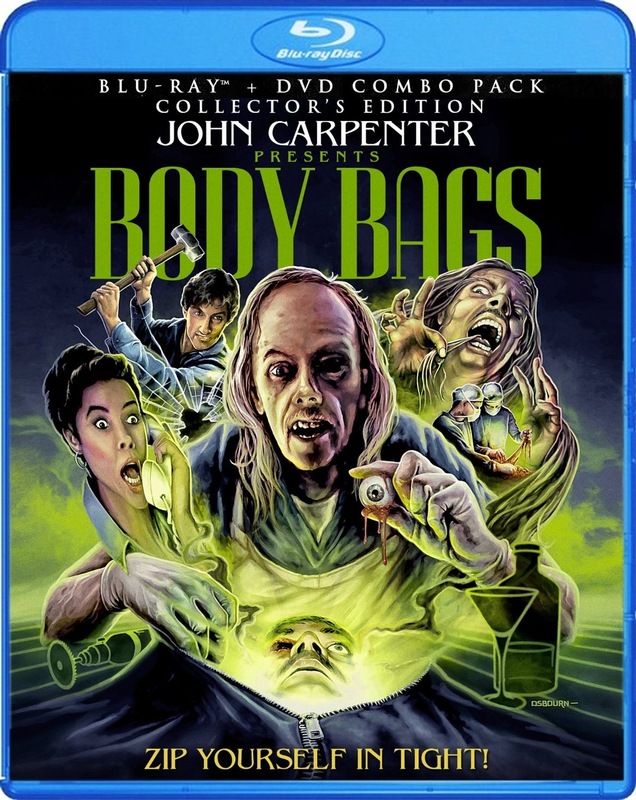 Body Bags is an anthology with two segments directed by John Carpenter and one directed by Tobe Hooper. I’ve always liked the concept for anthologies, but to be quite honest more often than not I find the films ok with a couple of exceptions and Body Bags is one of the exceptions. Even when I like the stories I sometimes feel as if more time was needed, but here I thought each story ran at the proper length where they didn’t wear out their welcome nor did they feel too short. 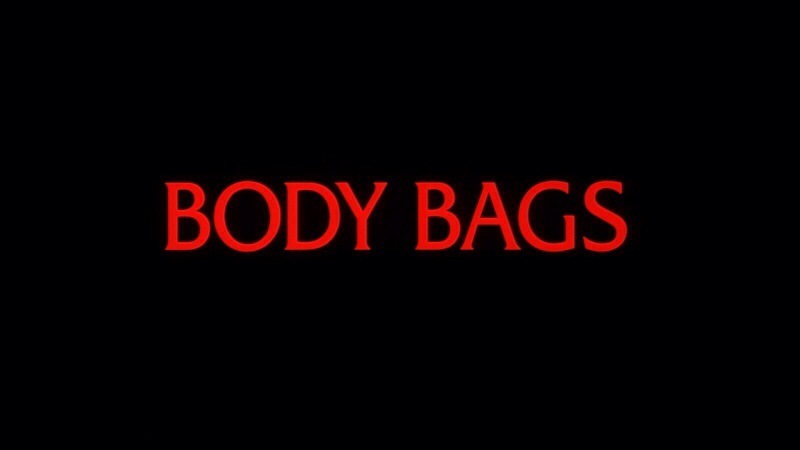 Body Bags as mentioned was directed by Carpenter and Hooper and in 1990 Dario Argento and George Romero teamed up for Two Evil Eyes, which like Body Bags was meant to be a TV series and like Body Bags, Two Evil Eyes never became a series. When you team up two popular filmmakers expectations are bound to be quite high and perhaps Body Bags doesn’t fully live up to, but at the end if the day its a solid effort. Starting in 1976 with Assault on Precinct 13, which was John Carpenter’s 2nd feature film he went on one of the greatest runs for a filmmaker in my opinion. From 1976-1988 Carpenter made some truly great films and perhaps films that might a be weaker were at least above average. 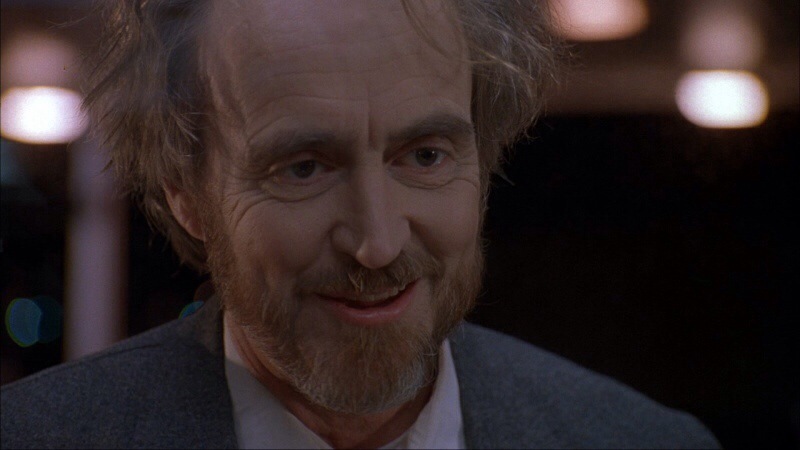 The only film I didn’t really connect with was Prince of Darkness, which is a film I need to be in the right mood for, but outside if that I thought all the films Carpenter made from 76-88 were great or again the very least above average. The 90s is when many felt Carpenter started a decline, which really isn’t true. While a lot of his work in the 90s may not be personal favorites I enjoyed them for the most part, but I can see why some would dismiss them when compared to his 70s & 80s work. Body Bags in my opinion is one of Carpenter’s best from the 90s maybe even my favorite of his work from that decade. When it comes to Tobe Hooper I’ve never really been a huge fan of his work whereas Carpenter is one of my favorite filmmakers. I loved Texas Chainsaw Massacre and would rate it as the most terrifying film I’ve ever seen. 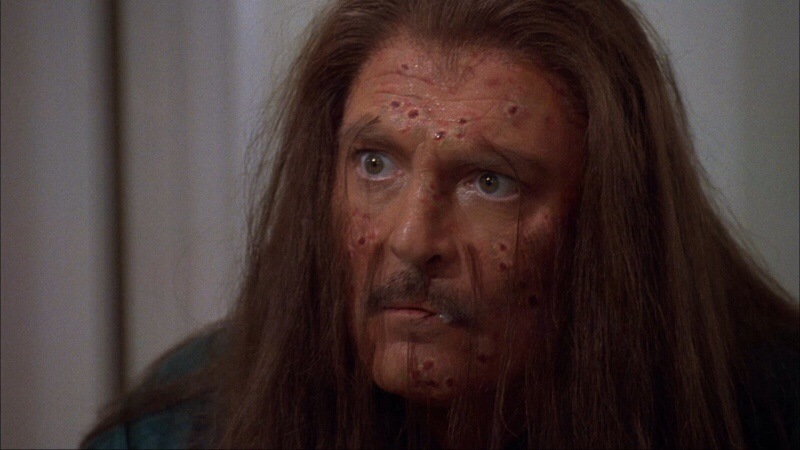 TCM 2 was a solid effort and I quite liked it and to some degree I enjoyed the Funhouse, but it pretty much ends there, oddly enough though Hooper’s segment Eye was my favorite of the three stories. Before and after each part there is a segment called The Morgue, which features John Carpenter as the Coroner, which is sort of like the Crypt-keeper from Tales from the Crypt. 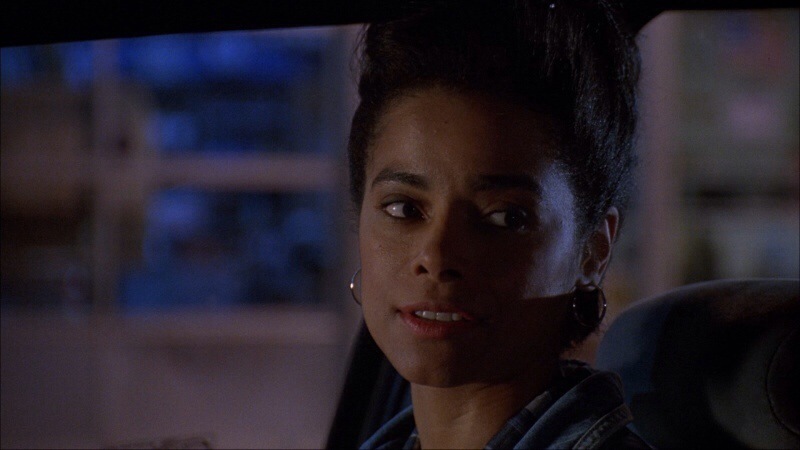 Tobe Hooper and Tom Arnold also appear briefly in the final part of the segment. The screenplay by Billy Brown & Dan Angel was quite strong and unlike other anthologies I felt each story ran at the perfect time. 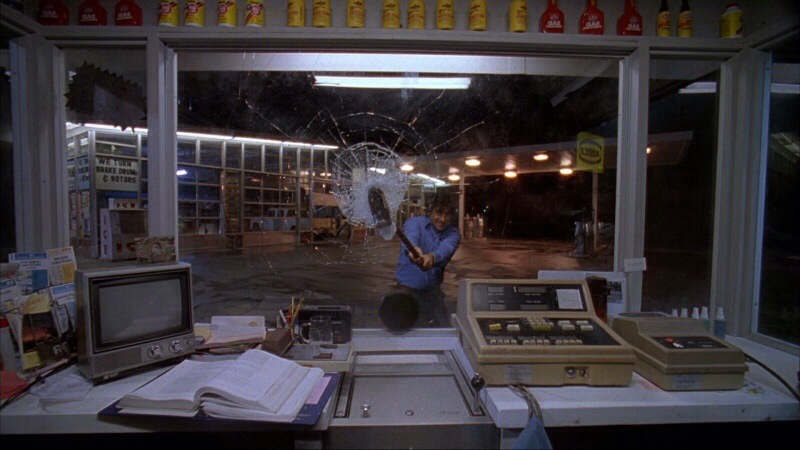 First up is The Gas Station in which Anne (Datcher) is starting her job at the gas station working the night shift. She comes across a couple of eccentric, but harmless people, but soon finds herself stalked by a psychotic killer. Brown & Angel write a solid story with a couple of mentions of Haddonfield, which of course was the setting for Carpenter’s Halloween. Characters are entertaining and overall its a fun segment. As director Carpenter crafts a well paced segment with some decent suspense. Don’t expect anything like Halloween, but The Gas Station was highly satisfying. David Naughton appears in a small role with cameos from Wes Craven and Sam Raimi. The 2nd story is Hair. This time Brown & Angel write a more campy script and it sort of reminds me of an episode of Tales from the Crypt. 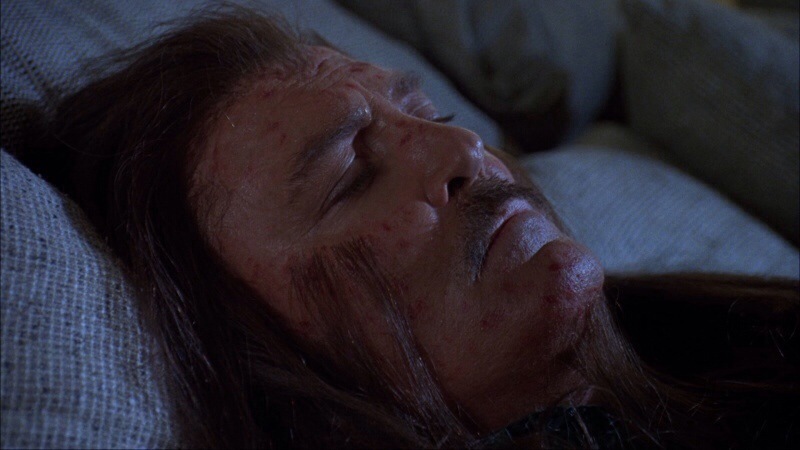 Richard (Keach) is losing his hair and is quite depressed about it. He pays a visit to Dr. 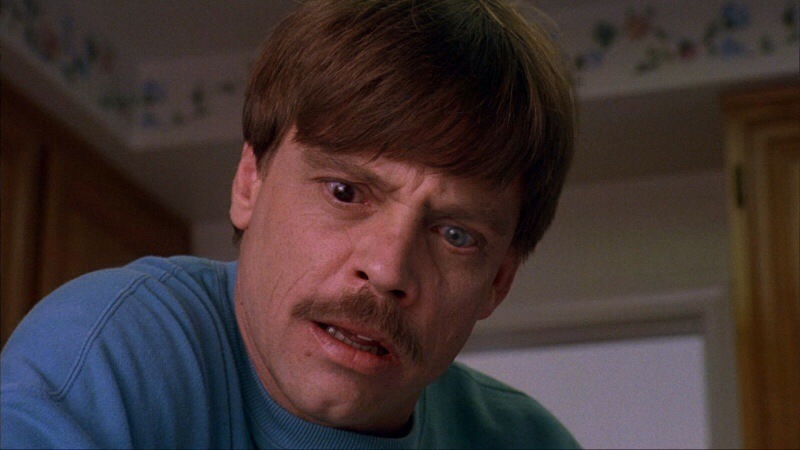 Lock (David Warner) and Robert’s wish comes true and his begins to grow back, but like the old saying be carful what you wish for. This segment features some fun writing with a nice twist you probably won’t see coming. John Carpenter crafts a fun segment that’s high on camp value and through its duration he always keeps Hair a lot of fun. Deborah Harry appears as a nurse and Greg Nicotero has a cameo. The final segment Eye is the more serious of the segments with Brent Matthews (Hamill) a career minor leaguer on the verge of a call up, but his dreams are ruined after getting into a car accident, which costs him his eye. 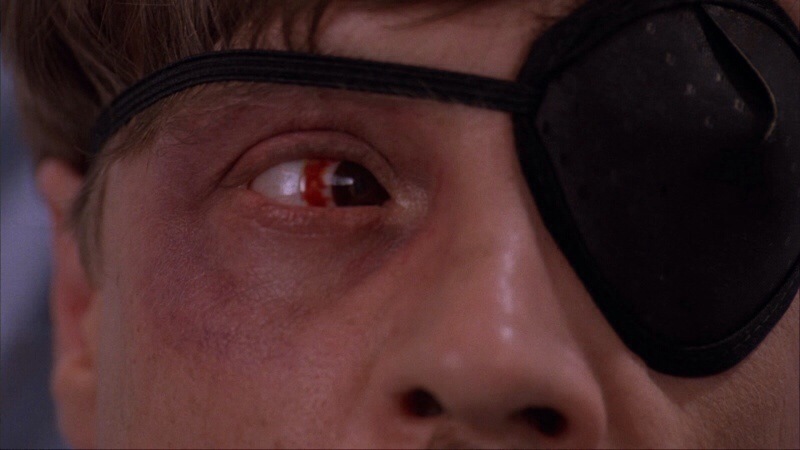 He ends up going through with an eye transplant, which is a success, but his happiness is short lived as he begins to have horrible visions until he’s on the brink of madness. Eye I found the best written of all the segments and despite the short running time Brown & Angel get the most out of things and develop the characters well and do a solid job on Brent’s breakdown. 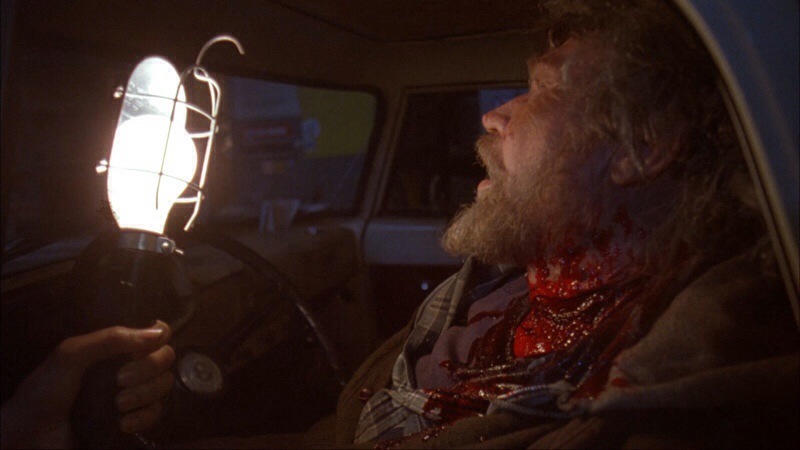 Tobe Hooper makes like I stated my favorite segment in Body Bags. Eye runs at a strong pace and has a nice mysterious and eerie tone going for it. 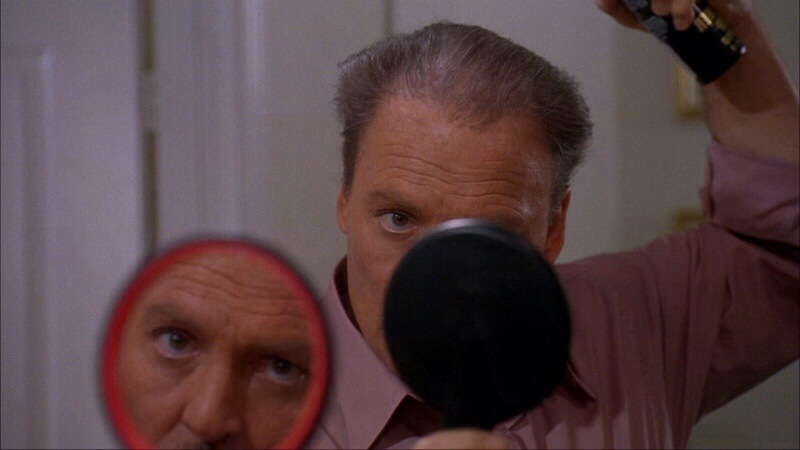 Charles Napier has a bit part with Twiggy as Cathy Brent’s wife and the legendary Roger Corman appears as Dr. Bregman. Overall Body Bags is an excellent anthology with three excellent and fun stories. I often wonder how Body Bags would have turned out if it did become a series. Regardless Body Bags is a fun film and comes highly recommended.